The art of watchmaking boasts centuries of enchanting tradition and fine watches have long been associated with style and status. A person’s choice of watch says more about them than anything else they wear. 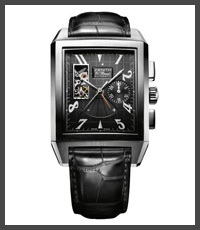 A watch can be an indication of a person’s lifestyle or an expression of their passion or attitude. Independent and unaffiliated. TimepieceReview not only offers detailed information on a wide range of watches from some of the world’s best watchmakers, but also honest, independent reviews and upto date news to help you find the perfect watch.